This history is believed accurate, please consult public documents for confirmation. Approx. 1912 – John Reed (no relation to the original settler of the Tiburon Peninsula) acquires the Martha Property from Marin County. 1918- Jessie O. Sollom, niece of Hilarita Lyford, and her husband deed Martha Property to J.R. Hanify Company. At the time, John Louis Reed, grandfather of the present Reed family members was Vice President of Martha Co. Martha was the name of J. R. Hanify’s wife. Approx. 1915 – Keil family acquires a 1-acre parcel on the Martha Property to supply water to gardens being developed by John McLaren, a key designer of Golden Gate Park, on their downhill estate. These water rights pose a potentially significant impediment to Martha development. 1958- Hanify Company deeds the property to the five members of the Reed Family, each receiving 18.666% interest. 1963- Reed family members deed property to Martha Co., a family corporation, owned equally by the five branches of the Reed Family. The family ownership is now divided amongst an estimated 24 descendents of the John Louis Reed Family. 1973 – Marin County adopts a new Countywide Plan with significant restrictions on development near visually prominent ridgelines (i.e. in the “Ridge and Upland Greenbelt”). 1975 – The Martha Company sues Marin County, contending that the rezoning constitutes a “taking” of their property without just compensation. 1976 – (Dec 29) The parties settle under a consent judgment (“1976 stipulated judgment”) which permits development of a minimum of 43 single-family homes on half-acre lots. Jay property was owned by a developer who went bankrupt. His loan was with an Atlanta Savings & Loan which collapsed in the 1980s S&L debacle. Last Chance Committee chairman Jerry Riessen negotiated with the Resolution Trust (a US government entity created to resolve the S&L mess) leading to a purchase in 1993. Requested 24 lots in Feb 1995 to correct an error. The EIR biologist had “discovered” a new spider on the site, rendering five lots “unbuildable.” Later the biologist discovered that the new spiders were not new but just juvenile spiders of a very normal type. The developer then demanded the approved lots be increased from 19 to 24. The appraisal was done on 24 lots. The Harroman property was owned by two individuals in the US Army stationed in the Philippines just after WWII. There they were in charge of supply operations and somehow obtained an exclusive license to distribute US cigarettes in the Philippines. They made a lot of money and yet paid no US taxes on those profits. The profits were scattered worldwide, including the Harroman property purchase. Ferdinand Marcos approached them, saying they needed a partner – him. They declined and Marcos turned them in to the US IRS. They claimed that since they had married Philippine women they didn’t owe US taxes. The IRS is very clear on taxes and after a long legal battle, seized the Harroman property. Last Chance Committee chairman Jerry Riessen negotiated with an IRS lawyer to purchase the property after the 1993 bond issue. As there wasn’t enough money to buy all of Harroman, the Committee initially bought half and the rest after the 1997 bond issue. In both the Jay and Harroman property purchases, the owner and Last Chance Committee hired appraisers who arrived at a fair purchase price. Both properties were then handed over to Marin County Open Space District for management creating Old St Hilary’s Open Space. Broom Busters was then formed to assist in removal of invasive plants. The remaining three properties (listed below) of the original seven ended up with limited development. • Bank of California/Dakin Trust, 50.2 acres, maximum 5 units.1991 – At the request of the Last Chance Committee, the Tiburon Town Council provides a couple of thousand dollars in seed money for study and analysis of these undeveloped lots. A major firestorm in the Oakland Hills underscores safety issues of unrestrained hillside development. 1992 – The Last Chance Committee presented Tiburon Town Council its “South Tiburon Ridge Open Space Study,” for preservation of open space. Specifically, the study provided a strategy for saving the key remaining open space areas while preserving property owners’ development rights. The Last Chance Committee assigned top priority to the Harroman property, followed by the Jay and Martha properties to be preserved as open space. April: Martha Company applied with the Town of Tiburon to build 49 homes on their 125 acres including both Martha and Martha Shore parcels. It will be a new subdivision called “Easton Point”. Work begins on the 1st Easton Point DEIR. Ark headline: “Move over Harroman, Here comes Martha”. August: Harroman Property trustee files for 30 lots. Last Chance Committee initiates work on a Mello-Roos bond measure to raise $3.2 million for purchasing any of the above seven properties. 1993 – June: Tiburon voters approve a $3.2m bond Measure “L” with 85% “yes” vote for a parcel tax to begin the purchase of land for Old St. Hilary’s Open Space Preserve. 1994 – June: Tiburon Town Council approves a 19-lot precise Development Plan for the Harroman Property. 1995 – Jay Property is purchased with funds delivered from Measure “L”. This is the initial land acquisition for Old St. Hilary’s Open Space Preserve. 1996 – 1st Draft Environmental Impact Report (DEIR) released for 125-acre Easton Point project (Martha Uplands and the Martha Shore [today’s Swahn property]) with the Town of Tiburon. The main road to the property was found to cross many landslides. Applicant did not complete the FEIR process and withdrew the application. Negotiations with the IRS lead to purchase of Harroman property. Available cash funds ½ of purchase price with a short window of time to raise funds for the remainder. Work begins on a 2nd bond measure. 1997 – Tiburon voters narrowly approve (68.2% vs. 66.7% needed) Measure E, a second parcel tax raising $3.3 million, needed to complete purchase of Harroman Property. 1998 – Harroman Property purchase is completed with funds delivered from Measure E, completing acquisition of the 122-acre Old St. Hilary’s Open Space Preserve. 1999 – Martha Company applies to Town of Tiburon for the development of 34 single-family homes. 2000 – Martha Company sells 15-acre, prime waterfront Martha Shore parcel, to Anders Swahn, a high-tech entrepreneur, for approximately $8 million. Now known as Swahn Property. 2001 – 2nd Martha Company (Easton Point) DEIR released by the Town of Tiburon. Martha Company stops pursuing the application and after considerable time passes, it is deemed withdrawn. For the second time, a Final EIR (FEIR) is not completed for Easton Point. 2005 – Martha Company applies to County of Marin for the development of 40 single-family homes. The County refuses to process the application stating that the Martha Property is within Tiburon’s “sphere of influence”. – Marin County sues in federal court to invalidate the 1976 judgment. County contended that so much time had passed and so many major changes occurred (for example, OSHA, CEQA, low-income housing requirements) that the judgment required revisiting. Other aged court decisions had been successfully challenged in this way. – Martha sues to enforce its 1976 stipulated judgment with Marin County, bypassing Tiburon. – Tiburon neighbors sue Marin County claiming 1976 stipulated judgment never provided advance public notice. 2007 – Nov 8: Federal judge issues “Judgment Pursuant to Stipulation” upholding the 1976 stipulated judgment and orders the County to process a new application and grant the minimum 43, ½-acre lots, with expedited handling to be completed by February 2, 2010. 2) Other constraints on development may include dangers to health, safety and endangered plants and animals. – Marin County Board of Supervisors votes 3-2 to stop all legal action and settle by agreeing 43 homes can be built per 1976 judgment with sharply limited oversight by the Marin County Planning Commission. Further, Marin County agrees to pay half of all additional EIR costs over $250,000. 2008 – Work begins on the 3rd Easton Point DEIR, this time with Marin County under terms of the 2007 federal judgment; this one only for the 110-acre Martha Property. Several Tiburon residents investigate “pre-zoning” the unincorporated parts of Paradise Drive to include the Martha and Swahn Properties as a first step towards eventual annexation. 2009 – The Martha Company sues Tiburon over its effort to pre-zone the Martha property. Nov 12: Town reaches MOU with Martha Company for a 32-house Lower Density Alternative (LDA) project. Any potential annexation effort to be deferred until Easton Point development is approved. 2011 – March. 3rd DEIR released by Marin County. 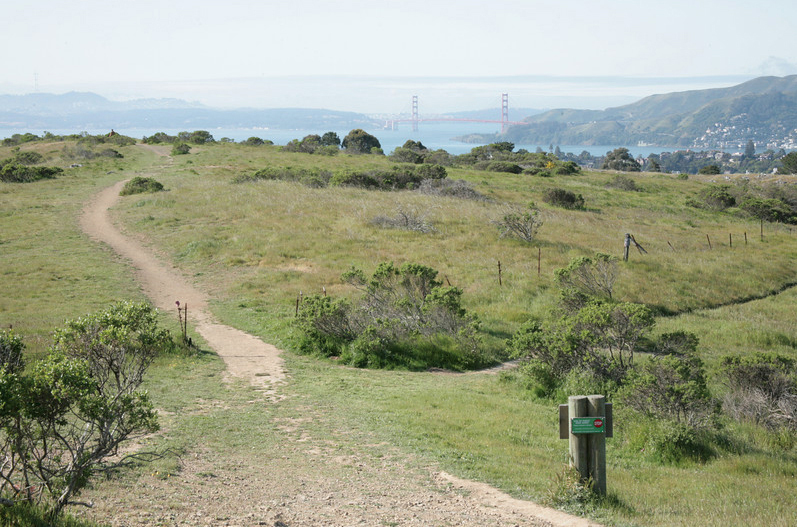 2012 – Last Chance Committee renamed Tiburon Open Space Committee. A website tiburonopenspace.org and email list are created to keep the community updated on preservation efforts. 2013 – June: FEIR released. October Board of Supervisors hearing. – October 22: Over 100 concerned citizens attend Board of Supervisors meeting to review the Easton Point development FEIR for possible certification. Supervisors defer certification; request more studies to properly assess the environmental impacts. – Nov 19: Environmental consultant Roberto Associates’ contract to prepare the Environmental Impact Report is amended to fund additional studies. Initially hired for $100,000, the tab escalated and now totals $345,000. Martha Company advisors say they have spent more than $1 million for EIR-required analyses and studies. 2014 – Mar 11: Board of Supervisors again declines to certify the FEIR citing a lack of specificity about the actual project. The Easton Point project will enter the “merits” phase without a certified EIR. The Supervisors will consider both the merits and the FEIR as a package at the end of the merits phase. Mr. Roberto, County consultant, also identified certain areas of concern identified by the Board of Supervisors at the March 2014 public hearing, namely: (1) water tank design and fire flows; and (2) potential impacts on listed, threatened, and endangered plant and animal species. TOS notes there are also other important environmental issues to resolve. – August 29: Tiburon Fire writes that a water tank at base elevation 590 feet seems to provide adequate fire flow if building material restrictions are imposed. 590 feet is the maximum elevation owned by Martha. Such a location will require a 30 foot retaining wall. – November 26: Marin Municipal Water District (MMWD) writes, “The proposed preliminary tank plans represent a significant departure from the district's Design Guidelines for Water Storage Tanks and a long-term liability for the district. As such staff finds the proposed design for the Easton Point water tank with a base elevation of 590 feet to be unacceptable.” MMWD recommends lowering the tank location to remove these risks. A lower location may require moving some house locations off the ridge to provide sufficient water pressure to fight fires. 2015 – October 28: Martha presents off site locations to mitigate project impacts to special status species. The County replies that per its regulations such mitigation must occur on site unless proven impossible. The two closest proposed mitigation sites are Old St Hilary’s Open Space and Tiburon’s Gilmartin Open Space. Neither are mitigation sites. 2016 – May 25: Martha files in Federal Court claiming the County has not moved fast enough to process their development. Martha also claims others, including MMWD and Tiburon Fire have worked in concert with the County to slow the process. – July 28: Federal Court, San Francisco. The County argues that Martha must submit new plans that provide a safe water tank height location and that Martha must show why onsite species mitigation is impossible. Martha argues for a fixed timeline to approve the project. The ruling requires Martha to submit new plans to address the open environmental issues and for the County to process these new plans. The parties are scheduled to reappear in court on January 30, 2017. – August: New NO TRESPASSING signs and new fencing appear at all historically accessible paths leading to Martha.